Frequent followers of online quidditch forums may be familiar with the concept of the “Quidditch Belt.” Pioneered by my colleague Ethan Sturm, and taken from the concept of pro wrestling, the belt is a (currently abstract) prize held by a team until that team is defeated, at which point the team that defeated them claims the belt. The belt was theoretically bestowed upon Middlebury College the day that they defeated Vassar College in the first quidditch “World Cup” and has changed hands numerous times since then, remaining in the hands of Texas Cavalry or Texas Hill Country Heat for the majority of this season. At any point in time, the belt is generally held by the team you’d expect—either the most recent national champion or whatever team from Texas beat them last. But when we extend this same concept to a “College Quidditch Belt”—a belt that only changes hands when a college team is defeated by another college team—its path becomes significantly more tortuous. Unsurprisingly, Middlebury sits at the top of the list, who spent 1462 out of 1463* days with the belt during their nearly-undefeated run from the finals of World Cup I to the 2012 Northeast Regional Championship. Similarly, three-time national champion University of Texas takes second on the list, having spent 614 days with the belt. However, from there, the teams who have held the belt range far and wide. Because the college belt only changes hands when one college team defeats another, it has–at times–spent months in the hands of some strange bedfellows due to the nature of combined club and college nationals. Despite being the only college team to make the finals in the final two years of combined nationals, Texas State University has never held the belt for more than a day, although they did have it for a single match at USQ Cup 9, in between their bracket games with Rutgers University and BGSU. Similarly–despite winning World Cup 8– Texas was beltless after that tournament, as that season’s final College Quidditch Belt holder, the University of Maryland, was eliminated from the tournament by Lone Star Quidditch Club. And despite being only one of three college teams to have won a national championship, the University of Rochester is only sixth on our list of belt holders, falling behind BGSU, Maryland and University of Missouri. Last month, after spending 140 days around Maryland’s waist, the College Quidditch Belt finally changed hands after the University of Virginia’s 80*-50 win over them at Founder’s Cup. While this is not the first time Virginia has claimed the belt—they briefly took it from Penn State University at Knight’s Cup in 2016, before losing it to Rutgers University at the same tournament—it is the first time that they have had it for more than a day. This allowed Virginia to climb our rankings of belt holders to No. 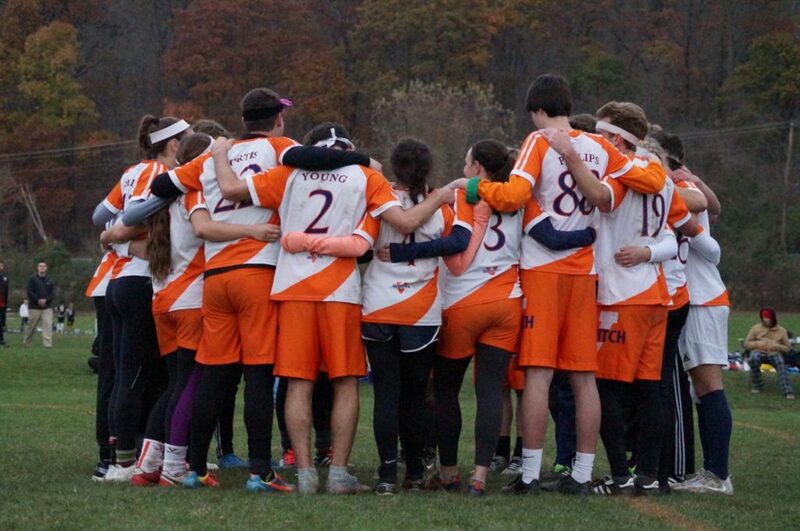 14, tied with Miami University who held the College Quidditch Belt for the two weeks leading up to USQ Cup 11. After a narrow 90*-80 loss to Maryland at Clash in the Capital last weekend, it seems like Virginia’s chances to extend their time with the belt are all but up, barring a national championship at USQ Cup 12 next month. With Maryland currently not scheduled to play until then, it is almost guaranteed that they will maintain the belt until that tournament, allowing them to surpass BGSU’s record of 343 days, and become the third-longest belt holder in college history. A full up-to-date tracking of the College Belt and its holders can be found here. *University of Michigan held the belt for one night, following the Saturday of World Cup V.